We are no longer a preferred provider but still accept Bupa so you can still claim your rebate and receive the same great care and attention from Dr Workman. 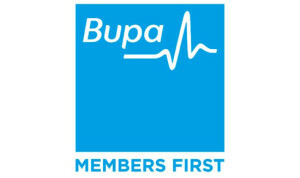 This means we have an agreement with BUPA health fund to provide dental services to their members according to a fee schedule that is set by BUPA themselves; this is assuming that you have ‘dental’ as part of your insurance plan. When the health fund sets the fees, they are lower than the normal private prices the dentist would charge.This is because of the agreement with the health fund; if BUPA have specified a fee for a service, that is what the dentist must charge. BUPA have a selective schedule, meaning that they have set fees for certain item numbers, but not for others. Most check ups, fillings and routine work fall under this heading. However, endodontics (root canal treatment), veneers, bridges and implants are simply charged by your Maroubra dentist at standard treatment prices- these items are normal private prices, and as such, there will be a slightly larger gap payment- see below for how to calculate. Different levels of cover contribute different amounts, so it is important to speak to your insurance company. They will tell you how much you will get back for each service and you can figure out the gap payment. If there are any waiting periods or restrictions with your cover they will tell you. If you have just joined BUPA, major dental work will often have a waiting period, so don’t be surprised! Hopefully they will have already told you this anyway. An examination is required initially for us to formulate a treatment plan of work which needs to be done; we will print this out for you- it contains all the info above that you will be asked for.